These sterling silver Celtic earrings feature three filigree Trinity knots within the focal Trinity motif. 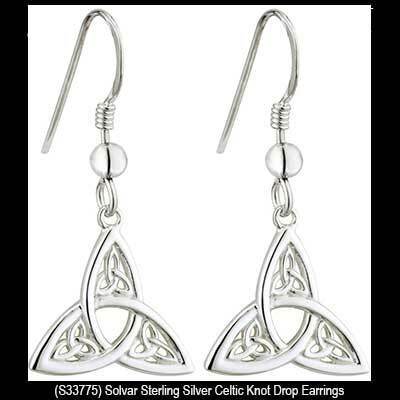 These sterling silver Celtic earrings features four Trinity knots in each earring. 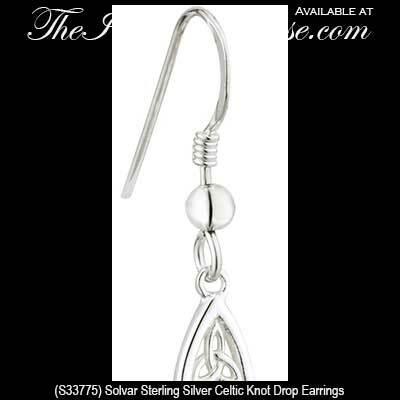 The Celtic drop earrings are on fishhook wires and measure 1/2” wide x 1" tall, to the top of the wire.